Microsoft has officially ditched Windows Phone and the company announced that they will no longer support the operating system. But, Whatsapp developers are not giving up easily as the they have rolled out a new update for the OS recently. The Android and iOS version of the app gets the best features, no doubts but it is good to see that Windows Phone users will soon be able to reply to private messages from a group. Last weekend, the company rolled out the feature allowing users to select any user from a group and reply to them privately. Private reply is a handy new feature Whatsapp developers have come up with. When you are browsing through replies in any group chat, you may come across the requirement to reply to a user in private. Previously, it was a tedious process where you have to manually open the app’s contact page and choose one to reply. The updated version lets you select one user, click on private reply and it will instantly open a private chat window. The message from the group chat will also be quoted for your convenience. The feature which was enabled on Windows Phone version 2.17.336 and 2.17.342 versions are temporarily disabled because it is still under development. It makes group conversations easy and to reply to any person privately without having to undergo numerous processes. 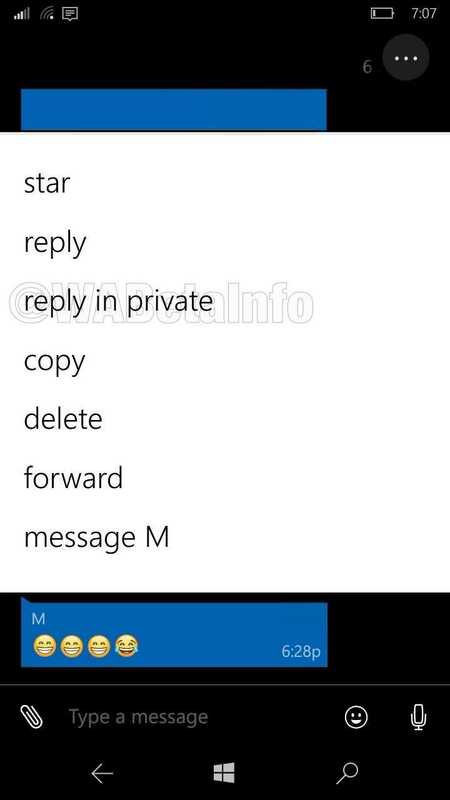 The user interface on the Windows Phone Whatsapp has been redesigned. The design is pretty much the same as the Android update which was rolled out back in the month of April. It is simple, easy to understand with a cleaner interface.On the Windows operating system on smartphones, the font used when combined with the flat colors and icons makes it look as sophisticated as the app could get. While it doesn’t change the way you make calls, the revamped call UI is definitely a welcome addition on the smartphone so that it doesn’t look too outdated on phones that still run on Windows devices. The OS will not receive any updates and is slowly dying but it is great to see essential apps receiving some of the most needed features so that it stays usable at least for the next couple of months. 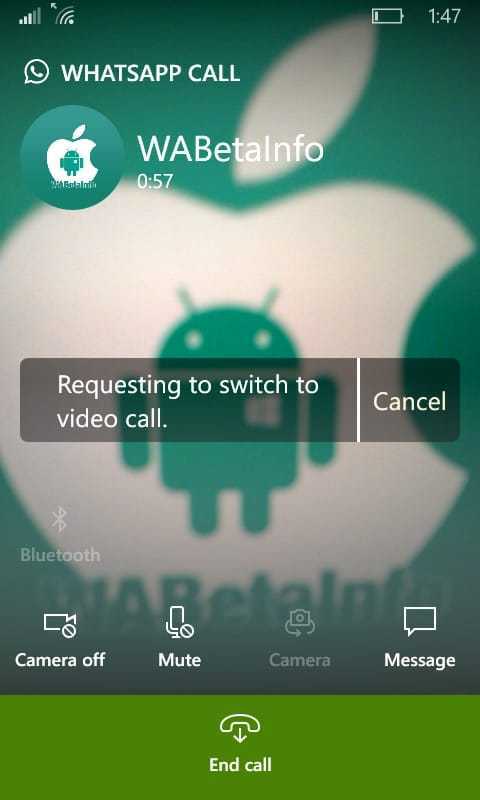 Users can also choose to switch to a video call from a voice call on Whatsapp with a quick button press. The feature has been rolled out to Windows phones as part of this upgrade. Previous Previous post: Samsung Galaxy A8 2018 vs. Samsung Galaxy A8 2016: What’s the difference?